Vendor revenue in the worldwide server market increased 38.6%, year over year to $18.8 billion during the first quarter of 2018, according to the International Data Corporation (IDC) Worldwide Quarterly Server Tracker (idc.com). Worldwide server shipments increased 20.7% year over year to 2.7 million units in the first quarter of this year. The server volume demand in the first quarter is ‘again' being driven by hyper-scale growth. Jun 4, 2018 - Telia Carrier Launches Its First Point-of-Presence in Serbia - Fiber backbone provider Telia Carrier (teliacarrier.com) has installed its first Point-of-Presence (PoP) in Belgrade, Serbia. The new PoP gives customers in the region the opportunity to connect directly to the Telia Carrier backbone, one of the world's largest and best-connected backbone networks. The network expansion would eliminate the need for expensive backhaul to out-of-country locations. Customers that had previously needed to access the Telia Carrier backbone via Frankfurt, Vienna or Budapest, would now see higher levels of performance and bandwidth, combined with lower latency. In particular, this would provide a boost to local 4G/5G mobile data service delivery. Jun 4, 2018 - Resello and Selectel Plan to Launch Jointly Developed Azure Stack as a Service in Russia - Resello, the Netherlands-based company behind the Resello Cloud Marketplace, part of the Yourholding group of companies with 140+ employees delivering cloud hosting services worldwide, has announced a strategic partnership with Selectel, a Russia-based IT infrastructure provider. The companies have planned various joint projects, including their collaborative development of an Azure Stack Network cloud service in Russia. 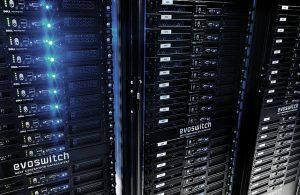 Jun 4, 2018 - Supermicro Adopts NVIDIA HGX-2 Cloud Server Platform for Its New 2 PetaFLOPS SuperServer - Server vendor Supermicro, a global provider of enterprise computing, storage, networking solutions and green computing technology, is among the first to adopt the NVIDIA HGX-2 cloud server platform to develop "powerful" server systems for artificial intelligence (AI) and high-performance computing (HPC). Bitdefender (bitdefender.com), a company delivering end-to-end cyber security solutions and advanced threat protection to more than 500 million users in more than 150 countries, has appointed Michael Gable as Vice President (VP) of its Data Center Group – a new division focused solely on cloud and data center security. Jun 6, 2018 - Nordic Colocation Provider DigiPlex Expands Two Oslo-based Data Centers - DigiPlex, a colocation provider from the Nordics with multiple data centers available focused on delivering energy-efficient and sustainable data center solutions (digiplex.com) to its clients, is expanding two of its current data centers in the Oslo, Norway area, in Rosenholm and Ulven respectively.